Shop a collection of high performance, minimalist notebooks and desktops from HP priced at $999+ and save 25% with code 25BMSM419. 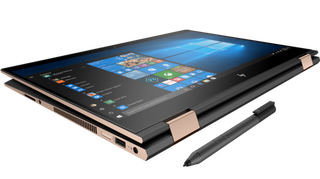 This sale includes the HP Spectre x360 Laptop - 15t touch Performance which features an 8th Gen Intel i7 core processor, 4k micro-edge touch display, and Bang & Olufsen speakers. Or, use code 15BMSM419 for 15% off select PCs priced at $599+ and code 20BMSM419 for 20% off on select PCs priced at $799+. Expires 4.20.19.